C is for Comprehension! Yesterday we had a lot of fun learning about bird beaks. 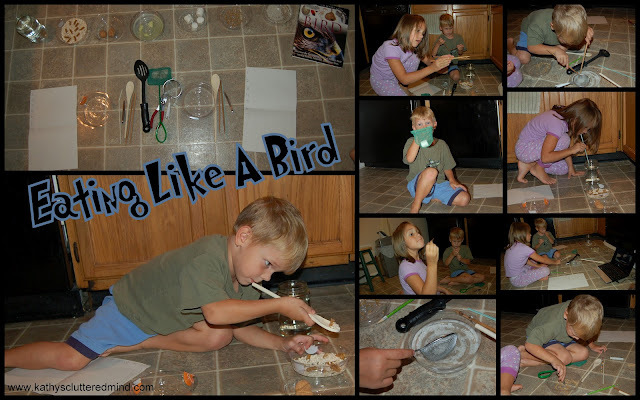 To make it easier for the kids to comprehend just how different all bird beaks are and how their beaks play an important role in the types of food they eat we did a fun experiment in the kitchen of course (where most of our experiments take place). I got the idea off the Birds Lesson Plan on Squidoo. I adapted it a little bit because we didn't have all the correct materials. After the experiment we watched this video on YouTube. 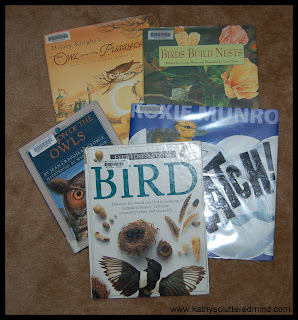 Then we read some books about nests, eggs, beaks and owls. 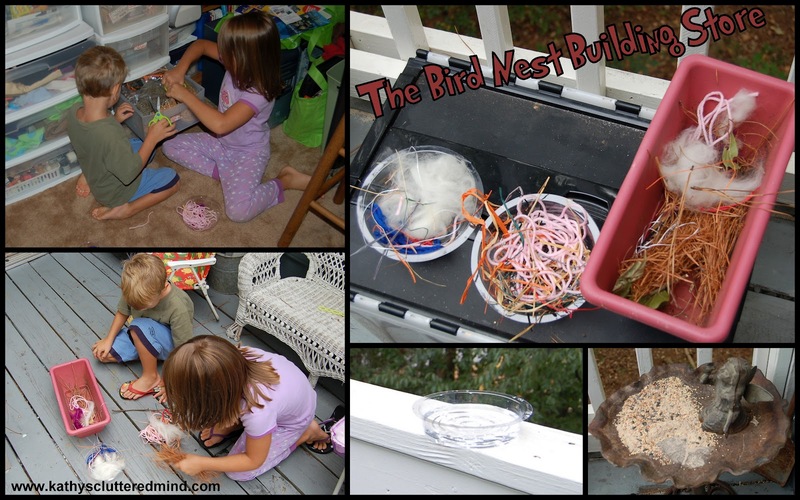 After we finished reading we put together some bird nest building stores. The kids gathered various supplies that birds would use to build nests out of then we put them on the balcony. We also filled some saucers with water and refilled our bird feeder. We are hoping to attract some birds to our balcony so we can do some birdwatching from the schoolroom window. What kinds of scientific fun have you been having? it's official - I would starve!! Thanks for linking up again!! what a fun eating lesson - they won't soon forget it! What wonderful nests! This activity looks like great fun. Thank you for linking to Read.Explore.Learn. 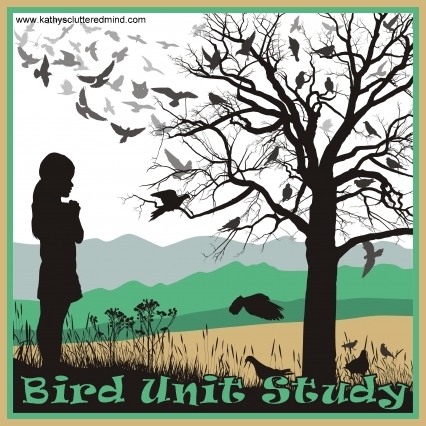 This was on my to do list back when we were studying birds, and I never got it done. Thanks for sharing it on Science Sunday! What a great lesson! 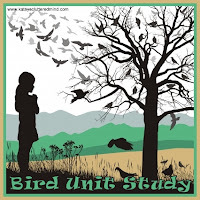 I haven't seen this done for a bird study before but it makes me wish my boys were younger, so we could try it. :) Thanks for linking up Kathy!